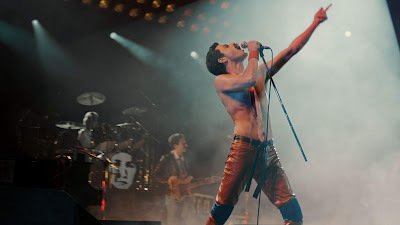 I maybe late to the party with Bohemian Rhapsody, but I at least got to see it under optimal conditions at an Actor’s Guild screening with Rami Malek in attendance. It was big and loud and wonderful. 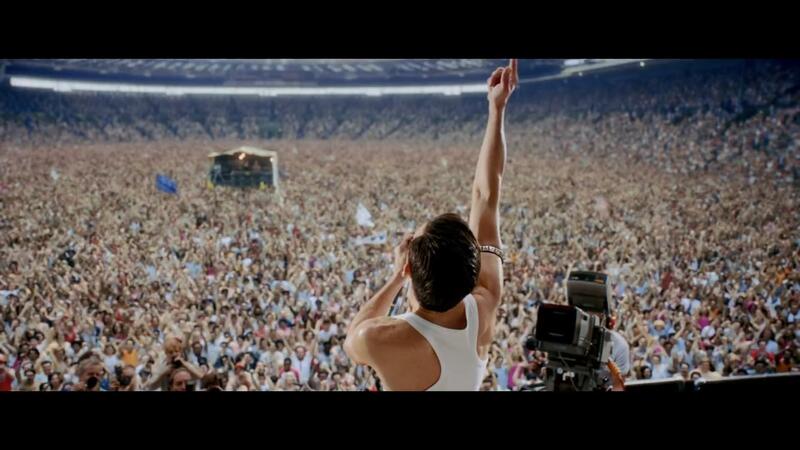 The film is the story of Queen as viewed through the life of lead singer Freddie Mercury. We go from his meeting of the band on through the Live Aid concert. Through it all we see Freddie’s ups and downs including his diagnosis of AIDS. To be honest the film isn’t particularly deep. It is the standard Hollywood biography that messes with the history in order to compress things and in order to paint Freddie and the band in the desired light. This is not the whole story but it’s reasonably close. Close enough that if someone was interested they could go read the real story. 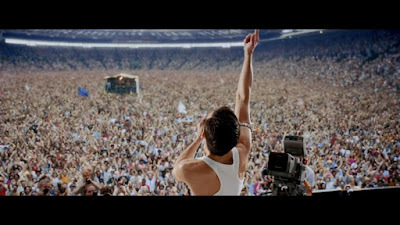 Absolute truth or not the film is ultimately what Freddie probably would have wanted- a grand time and a film that makes us all feel good. The story of a band of people who should never have been friends yet somehow changed the world by being themselves is one that resonates with all of us. They are ultimately us – just with better stage presence. I was moved to tears several time. 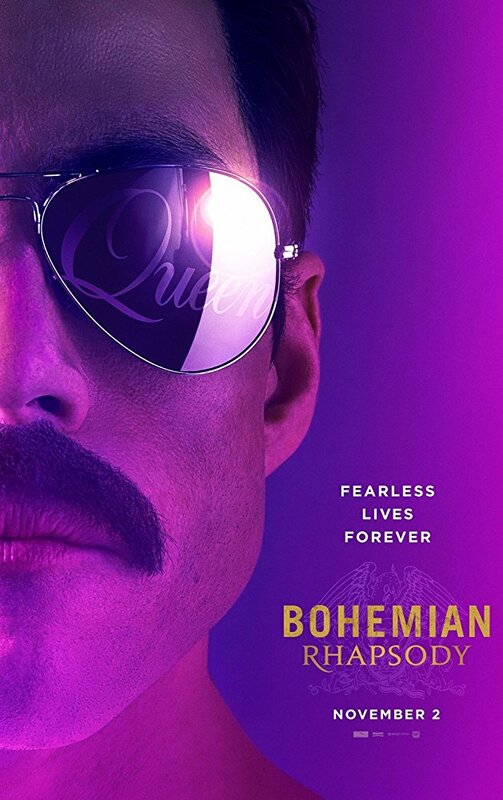 I cried because the music of Queen filled my life and I cried because my mom, who always said that when she died she was looking forward to meeting Freddie first and foremost, couldn’t do so- she long ago passed on where I’m sure she met the man in the great beyond. After the film Rami Malik spoke about making the film. With the audience filled with actors the questions were largely about how he did the prep work and his love of the music. It was really good. I’m going to bet he has an excellent chance at winning the Oscar since it seemed the majority of people were there to see the film a second time because Malik was there and they wanted a chance to ask him questions about how he did such a wonderful job.